Meet this month's Book Doctor... William Sieghart! In a poetry reading rut? Not sure what to pick up after Rupi Kaur's Milk and Honey, or Seamus Heaney's 100 Poems? In our Book Doctor feature, we welcome a guest to prescribe just the right read for any mood or occasion. 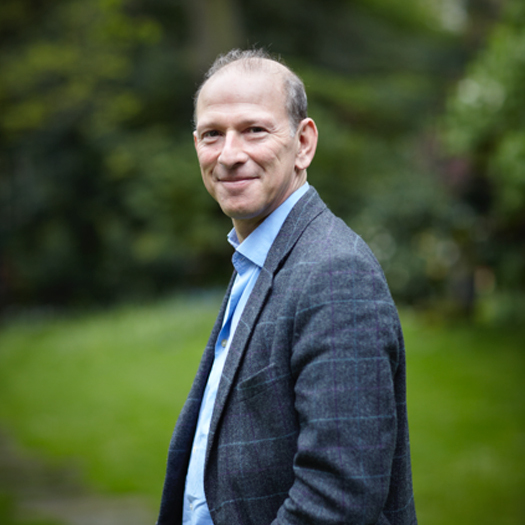 William Sieghart is here ahead of National Poetry Day (4th October) to answer five poetry dilemmas – sent in by Caboodlers just like you, who have each won a copy of his book The Poetry Pharmacy. It very much depends who that someone is. 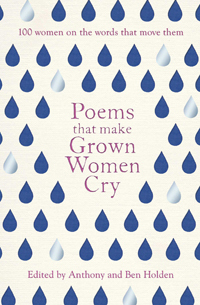 But I love two anthologies by Ben and Anthony Holden, Poems That Make Grown Men Cry and Poems That Make Grown Women Cry, because they each invite 100 contributors to chose a poem that means a lot to them. (Weeping is optional.) And what fascinating contributors they are and how well they speak of the poems they love. John Le Carre chooses Goethe, Barry Humphries chooses ‘Everyone Sang’ by Siegfried Sassoon, Ken Follett, Seamus Heaney and Alan Hollinghurst each chose a different poem by Thomas Hardy. It makes a huge difference having a poem offered to you with a personal introduction by someone you trust or admire. Actors in particular are drawn to words that are good to speak aloud, with strong rhythm and often rhyme too: Judi Dench and Emily Mortimer go for Lord Byron’s 'So we’ll go no more a-roving', and Joan Baez for 'Abou Ben Adem' by Leigh Hunt. But there's free verse here too, and recent discoveries: Warsan Shire – a former London Young Poet Laureate – is cited twice, once for a poem called ‘Home' that I first heard read aloud by Benedict Cumberbatch on the stage of the Barbican when refugees were on every news bulletin: 'no one leaves home unless/ home is the mouth of a shark'. The shortlist for the annual CLiPPa prize is always a good place to check out new children’s poetry. This year’s winner was Karl Nova’s Rhythm and Poetry, a collection so full of energy that the audience at the awards ceremony could barely sit still when he spoke. 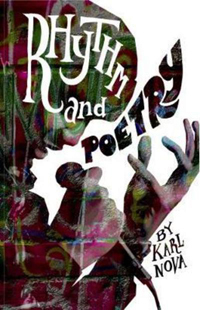 Karl is a hip hop artist as well as a poet: he makes language dance and spin. No surprise then, that his performances inspire so many children – especially boys – to write their own poetry. Another wonderful writer for young boys – and a favourite of the CliPPa judges is Kwame Alexander, an American who writes novels-in-verse about sport and friendship and family. Occasionally, he intersperses his pages of breakneck rhythm with graphic novel and comic book style illustrations. Start with Booked which is about a football-mad 12-year-old and contains as many thrills and setbacks as a great match. As for children’s anthologies, the most gorgeous of the year is I Am the Seed That Grew the Tree: A Nature Poem for Every Day of the Year. It's too big to stuff in a pocket, but perfect to look at together at the end of every day. When Keats wrote about “realms of gold” in his great sonnet 'On First Looking into Chapman’s Homer', he treated reading as if it were a kind of travel, and he was right. Discovering Homer’s telling of the voyages of Odysseus really is like exploring another world, and you need to go equipped. 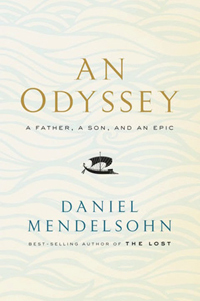 I recommend two books in tandem – An Odyssey: A Father, A Son and An Epic by Daniel Mendelsohn and Robert FitzGerald’s great 1961 verse translation The Odyssey. FitzGerald was a celebrated poet in his own right, Poet Laureate of the United States in 1984, and good friends with Elizabeth Bishop – another poet who understands the journey a writer and reader take together. If you read only one poem when you long to be elsewhere, start with Bishop's 'Questions of Travel', which contains the marvelous line: "And have we room/ for one more folded sunset, still quite warm?" She looks at the world with an explorer’s eye: her writing teaches you how to notice, truly notice, where you are. 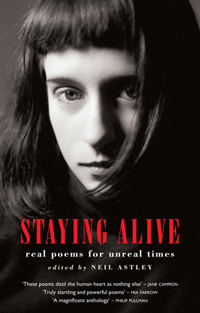 Neil Astley, editor, writer and founder of Bloodaxe Books, published Staying Alive – an international anthology of 500 life-affirming poems "fired by belief in the human and in the spiritual" back in 2002, and it's not been out of print since. With its two companion anthologies – Being Alive and Being Human – it features a range of work by poets whose power to revive the spirits has been tried and tested: Neruda, Cavafy, Mary Oliver, Billy Collins. Open one of the volumes at random and see what happens. For something shorter: look out for Candlestick Press, which publishes slim pamphlets that can fit into an envelope and be sent "instead of a card". Christmas Crackers: Ten Poems to Surprise and Delight does exactly what it says on the cover, but Ten Poems about Friendship and Ten Poems about Kindness are also wonderful. Finally, you might enjoy my attempts to bring together poems that gladden the heart and stiffen the spine: Winning Words and The Poetry Pharmacy. 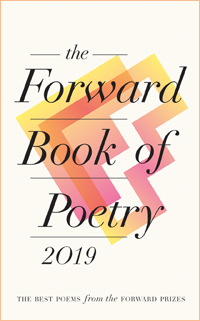 A great question, which I can best answer by turning to the latest Forward Book of Poetry 2019, which contains a selection gleaned from recent collections published in the British Isles, as chosen by a jury of three women and two men. Liz Berry's 'The Republic of Motherhood' feels like a classic already, though the ink is scarcely dry: she wrote it after discovering that 'life had been pulled from under my feet and flung to the wind' after the birth of her first child. 'But when I looked to poems, that experience was hard to find', she added in an interview. Frustrated, Berry created the poem she knew was necessary, and it’s been forwarded between new mothers like contraband ever since. Other names to fall upon in this and other Forward anthologies are Amy Key, Mary Jean Chan, Sophie Collins, Sarah Howe and Tishani Doshi – while Vahni Capildeo and Denise Riley are landmark living writers whose influence on the new generations of UK poets, male, female and trans, cannot be underestimated. Finally, if it’s raw, bold and exciting you’re after: try to catch live performances by Melissa Lee-Houghton or Vanessa Kisuule. 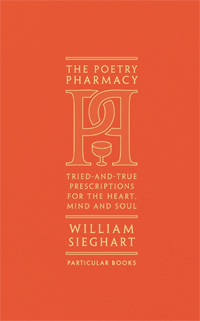 The Poetry Pharmacy: Tried-and-True Prescriptions for the Heart, Mind and Soul is out now, published by Penguin Books, £12.99. National Poetry Day will take place on Thursday 4th October and the theme this year is Change.